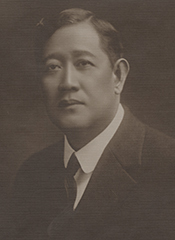 Ruiz, Demetrio E. Jr., Teodoro Rafael Yangco: His Life and Business Career (1861-1939). M.A. thesis, University of Santo Tomas, Philippines, 1975. Stagg, Samuel Wells. Teodoro Rafael Yangco, Leading Filipino Philanthropist and Grand Old Man of Commerce. Manila, P.I: University of the Philippines, 1934. Teodoro R. Yangco in Asian and Pacific Islander Americans in Congress, 1900-2017. Prepared under the direction of the Committee on House Administration by the Office of the Historian and the Office of the Clerk, U.S. House of Representatives. Washington: Government Publishing Office, 2018.